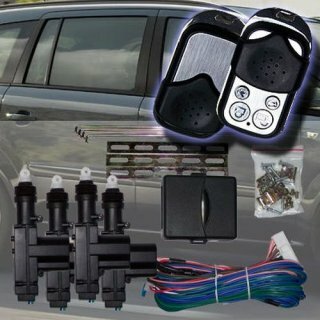 Our CWR-13 central locking system is suitable for all car 2- and 4-door models with a 12V battery. It is equipped with 2 graceful designed digital metal transmitter (100m) over which all functions can be served. 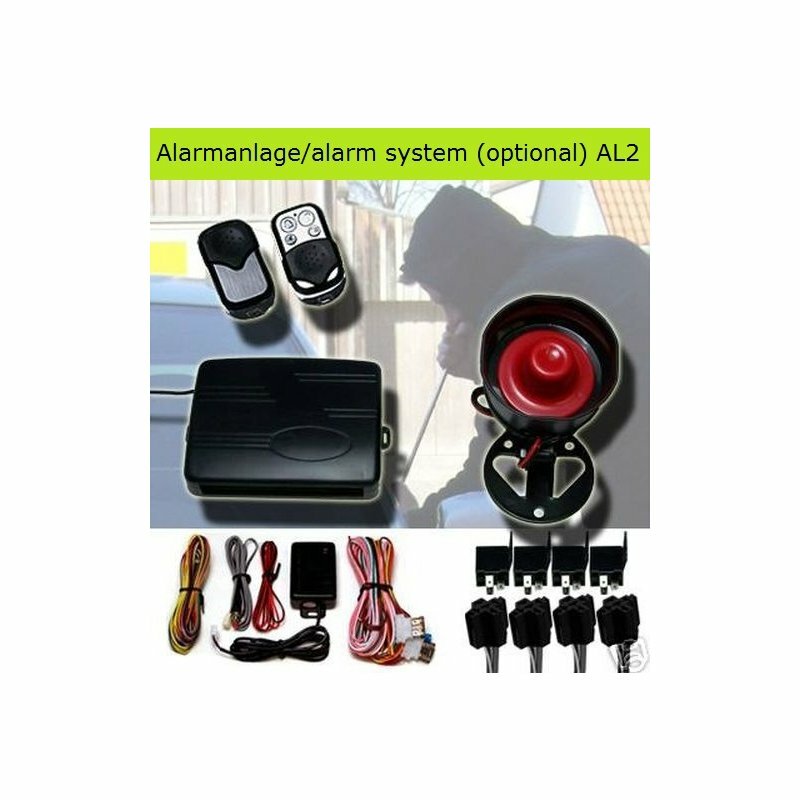 The central locking system has interfaces for the connection and operation of our YD-198 alarm system and electric window lift. 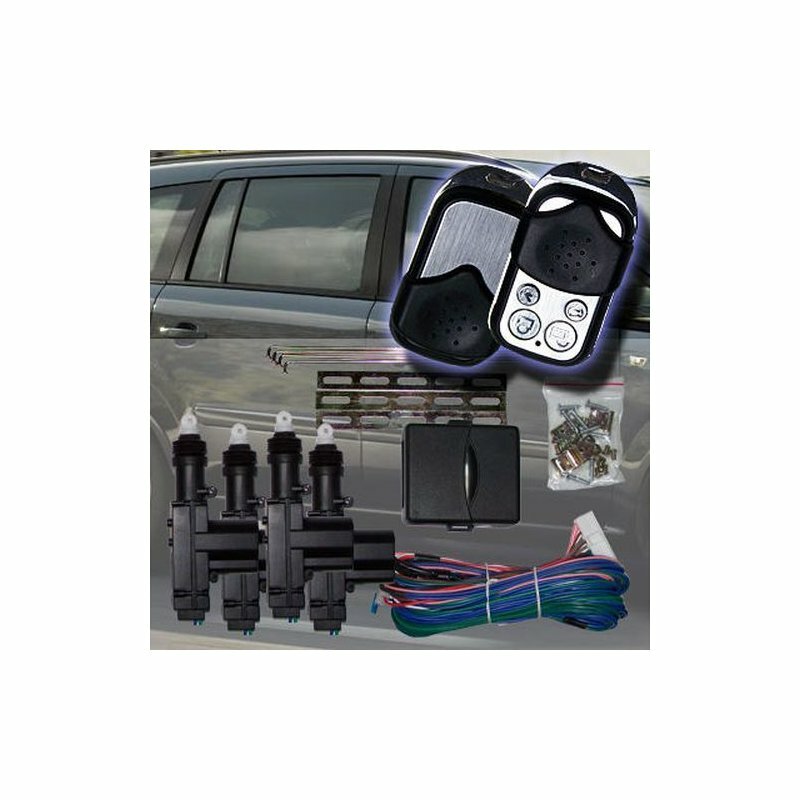 You receive a complete central locking system installation pack. You do not need any additional parts. Once the vehicle started accidentally touching buttons that normally arm the alarm, will not arm the alarm, but will lock doors. If nobody enters the car m 20+/-5 seconds after the system is disarmed the door of the car will automatically be locked again and the system will come back to be on "ALERT" mode. Turn on the ignition after closing the car doors in a proper way, after 15 seconds, step on the foot brake and the car doors will be locked automatically. The car doors will automatically unlock when the key is taken out of the ignition switch. If the car is bumped, the system will take a record about the vibration of the car and will give warning to the car owner by 4 beeps when the alarm system is disarmed, so that the car owner can check the car inside and outside to make sure about the safety of the car. When the car is parked, open the door, the lights will keep flashing to give warning to the cars behind. Before driving, ACC OFF, if the doors are not properly closed, the lamps will keep flashing for 15 seconds in order to give warnings to the cars behind. If the alarm system is triggered in arming mode, then tThe siren will sound for 25 ± 5 seconds in arming mode (without sounding in silent mode) when the car window is knocked or when the car is bumped. The siren will keep on when the car door is opened or when the engine is ignited illegally. 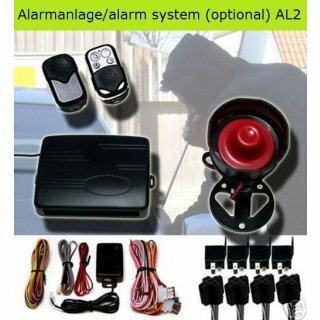 If the car door is opened during the arming mode, when the owner press to disarm the car, the siren will chirp 6 times to give warning to the car owner to take caution to the theft inside the car. If the car power is cut off whether the system is armed or disarmed, the system will still keep in original condition. In disarming mode can be released automatically. Power windows can be shut by remote control. The siren will chirp once and light flash once, and the power window will close automatically. It lasts at 25 seconds. Open the door, step on the foot brake, turn ACC ON/OFF for 10 times, and keep ON position, the hghts will keep on. Then the system is disarmed (used when remotes are lost). If the car body by bumped slightly, the LED keep lighting and the parking light flash and the siren will only chirp 5 times, if the car body by bumped continuously, the siren will keep sounding for 25+/-5 seconds. Under disarming mode, close the door, turn ACC ON. press RESET switch for 5 seconds, LED keeps ON, lights keep ON the system enter into learning code mode press any key of the transmitter within 5 seconds. LED flash 3 times, lights flash 3 times (Only 4 transmitter can be learnt in one main unit) When the new code is learnt successfully, turn ACC OFF, LED turn off and lights turns off, the system quit off the learning raode (If new transmitter learnt, all the old transmitter are invalid for safety reason.) Store another new code by repeating the same procedure.